The Bush Lodge forms an excellent base for your safari activities in Queen Elizabeth National Park. The lodge is built along ecological principles, the bandas designed and spaced in such a way to maximize privacy and enhance the safari aspect of the lodge. Surrounded by the National Park and bordering the Kazinga channel, the lodge has a truly unique setting. Animals literary room in and out the camp and sounds of hippo’s and hyena’s complement our star lit dinners… At a great price quality ratio, The Bush Lodge finally offers a safari camp which is affordable and authentic. 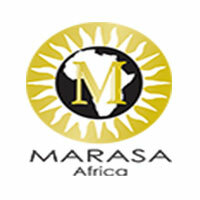 Expect a great outdoor safari atmosphere, a close to nature experience with excellent food and friendly service. 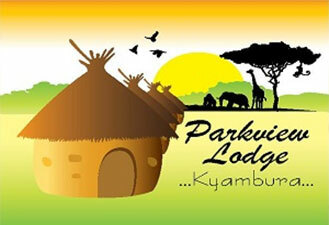 Parkview Safari Lodge is a Uganda safari lodge located in Queen Elizabeth National Park in the Kyambura area. 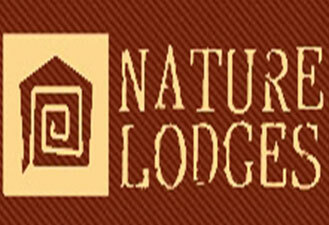 The lodge is a mid range or call it a standard that is best placed to serve the middle income travellers on their voyage to the park and surrounding local communities. The lush en suite cottages are nicely placed in a natural ecosystem setting crafted using natural materials and fitted with canvas that blends with their surroundings. The cottages are thatched with local grass presenting a cool atmosphere suitable for relaxation while on safari. Equipped with both hot and cold running water, the bath tubs and showers overlook the wilderness while the private wooden decks offer uninterrupted views of the park Savannah when lit by electricity. Parkview safari lodge is considerably rich in facilities including a fully equipped conference hall, restaurant with an extensive menu providing both local and international cuisines, library and reading area where you can learn more about conservation and Queen Elizabeth national park in general, Sauna and steam bath, Massage parlour, gift shop where one can secure a souvenir to commemorate the Uganda tour, extensive swimming pool offering a deep bath after an extensive game drive, laundry services, internet connectivity that keeps one connected in the outside world and a well stocked bar. Besides the lush en suite cottages, the lodge also features well built standard rooms set with concrete materials providing a rather affordable accommodation to the price sensitive travellers. The rooms have hot and cold shower among other exciting services that surpass your expectations. The guests in these rooms fortunately have access to the swimming pool, the restaurant among other facilities. The lodge presents a good base for tourists visiting the park and undertaking a myriad of activities including game drives in Kasenyi, community encounters, Crater Lake viewing and excursions to the magnificent tree climbing lion truck-ishasha sector, river safari along Kazinga channel, chimpanzee trekking in either Kyambura gorge or Kalinzu forest reserve and forest walk in Maramagambo forest. Great Lodging for all budgets! -located in a prime wildlife area. We are located in Kyambura overlooking Queen Elizabeth National Park as we are along the rim of the western rift valley in Uganda. With a view over a rich animal kingdom you might spot elephants coming to enjoy the waterhole in view from the verandas of the cottages. 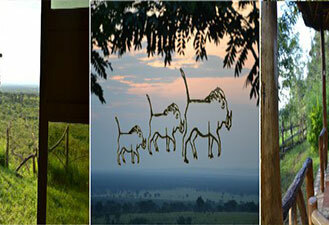 At Pumba Safari Cottages we offer you cozy accommodation, welcoming staff and stunning views. 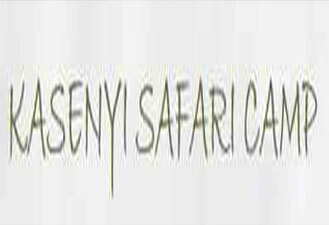 Kasenyi Safari Camp is strategically located on the rim of lake Bunyampaka in the Kasenyi Savannah of Queen Elizabeth National Park. The camp has an elevated dining structure that is meticulously thatched. The tents are on platforms with a thatched canopy roof. There are four tents all with en-suite bathrooms, spacious living areas and private decks. Many animals frequent the camp during day and at night. Lion prides, hippo, leopard, buffalo, elephant, waterbuck, kob, hyena and warthog are frequently seen. The night comes alive with sounds of hyenas howling and lions roaring.